The winter is a cruel one. Snow prevents transport and trade; boats remain in the harbour, sheltering from the jaws of the sea. The Big People are hungry and desperate. Two sister-trolls, Grimhildr and Dotta, live deep in the forest where they care for all kinds of animals in need. When they rescue a chocolate-brown dog they also make a loyal friend: Halvor. Unlike other Big Men, he understands the trolls' way of life and promises to help them in times of trouble. 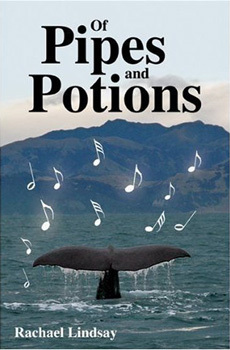 "Of Pipes and Potions" is a warm and wonderful tale of overcoming fear and inhibitions, of working together to help those in need.